Margaret Spencer writes about small business finance and entrepreneurship. She is interested in financial empowerment for small business owners across industries, and passionate about sharing insights on accessibility and communication to help entrepreneurs grow. 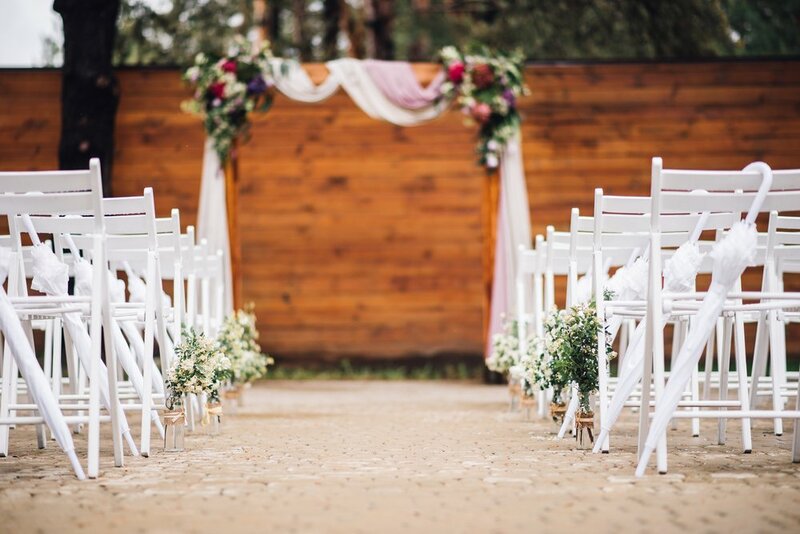 Whether you’re a wedding professional, real estate investor, or simply an entrepreneur interested in the wedding industry, starting a wedding venue can be a big business opportunity. But it’s also a big commitment. Learning how to start a wedding venue means you’ll have to be undeterred by the idea of navigating zoning committees, renovation costs, and financing. Because, even as changing trends sweep through the industry (Ball jars one week, kraft paper another…), in reality, a great wedding venue doesn’t need a ton of bells and whistles to host fantastic weddings. So, if you’re a fearless entrepreneur, starting a wedding venue just might be the perfect opportunity to open your first business, or expand an existing one. These six steps should help you get on your way to starting the wedding venue of your (and many future couples’) dreams. Once you’ve decided to start a wedding venue business, you’ll need to familiarize yourself with the industry. It’s a good idea to make connections with wedding vendors, who can provide helpful advice and recommendations throughout the process. After you’ve set up a reliable network, the real work begins: You’ll need to assess your current finances, scout and renovate properties, and of course, secure financing. Are you looking to purchase a property or lease one? Do you have enough cash on hand for a down payment or will you require financing? Are you building a new structure or touching up an existing building? These questions, among others, will help you determine what type of small business loan you’ll need to apply for, and in what amount. While you’re at it, you should find out your credit score and create an organized, complete financial portfolio, which will be essential to securing a loan. Wherever you are financially, it’s crucial to start the process with a realistic estimate of the investment you’re able to make. With a handle on how much capital you can contribute, and how much additional capital you’ll need, you’re ready to start exploring potential properties. 2. Location, Location… Which Location? With your finances in order, you can look for a property to convert into the perfect wedding venue. If you’re interested in rural properties, keep in mind that a barn could require $250,000 in renovations just to be brought up to code. On the other hand, with an outdoor property, you can start by hosting events under a tent—a quality 100-person tent with a liner should cost less than $5,000, for instance—while you complete work on pre-built structures. For leasing or purchasing in urban areas, your property costs will largely depend on the location and the state of the building you rent. You’ll also want to look into the size of the wedding market in your area to gauge local demand. Are you looking for a rural or urban location? An indoor or outdoor structure? A multi-use space or a dedicated wedding venue? In a location-driven business like a wedding venue, local zoning laws and building regulations determine much of what you’re able to do—and how quickly. If you’re not a property owner, or plan to open your wedding venue in a different county than where you live, start your search with a specific place in mind. Then, call the county where your prospective property is located, and ask for zoning information and code requirements for event spaces before making a down payment. Once you’ve secured your location, conduct an audit of the property. Make preliminary decisions about how much renovation you’ll need to take on to bring your building up to code. Finally, decide if your venue will provide any additional services. If you are currently active in the wedding industry, this could mean tying in a service you or a partner already provide. Otherwise, focus on finding a property with great potential, and worry about additional services once you have a business plan in place. Your financial plan is set, you’ve locked down a venue—and now you’re ready for financing… right? Well, not quite. Before you apply for a small business loan, you’ll need to get an on-location estimate for the repairs, renovations, or additions you plan to make on your venue. It’s important to know the number so you can figure it into the cost of the capital you’ll need to invest. Water and utilities. Identify a water supply and connect utilities. If your space is outdoors, this could require working with the city or county water works, and renting or purchasing a generator. Bathrooms. Restrooms are essential to making your event space usable and code-compliant. If restroom facilities are not already on the premises, get estimates for installing plumbing, or seek a temporary solution, like rented portable restrooms. Catering space. An onsite food preparation area is ideal for a wedding venue. But if your venue doesn’t have an existing kitchen, start by creating a place where caterers can set up and serve. Make sure it’s accessible to the reception area. Remember that different types of food prep and service have different types of permitting required—so you’ll want to look into what permits you’re willing to pursue in tandem. Shelter. For outdoor venues, having a weather contingency plan is non negotiable. Depending on the structures available, this might mean investing in a tent. Venue size. Another detail to keep in mind while handling zoning and code compliance for your venue property is maximum occupation or capacity. Parking. No one will show up if there’s nowhere to park. Whether it’s a field with parking cones, or an adjacent parking garage, make sure you know how guests will park. Photography should definitely be a consideration in choosing a location and specifying renovations. If you envision a wedding venue as a visual and experiential backdrop for a couple’s special memories (including their posts), you’ll get a good idea of what makes some spaces so picture perfect. Great lighting and a simple, customizable space are all you need. Okay: Now you’re ready to secure financing to get your wedding venue off the ground. Depending on your available capital, and the work you need to conduct on your venue right off the bat, you might want to take an incremental approach to financing. Focus first on obtaining a loan to purchase or lease the property, then bringing the space up to code. Then you can start thinking about further additions, like changing rooms or a dance floor, which might require a different type of loan. Start your search with these four options, which suit a variety of financial profiles and needs for your soon-to-be wedding venue. 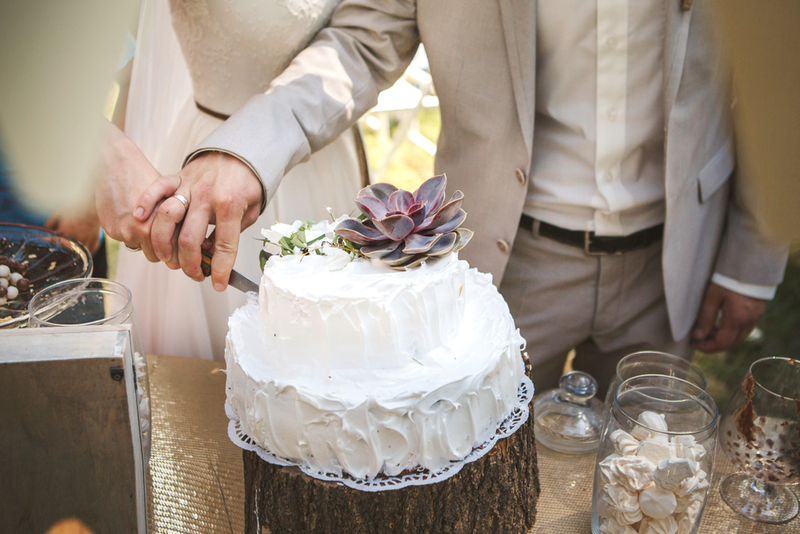 If starting a wedding venue is your very first business endeavor, it’s unlikely that you’ll have the financial stats—like existing annual revenue and profitability—that most lenders want to see before extending you a loan. In that case, you might want to consider a personal loan for business. Personal loans are easier for new businesses with limited business history to obtain, since lenders use your personal credit score and finances to determine your eligibility and loan amount. 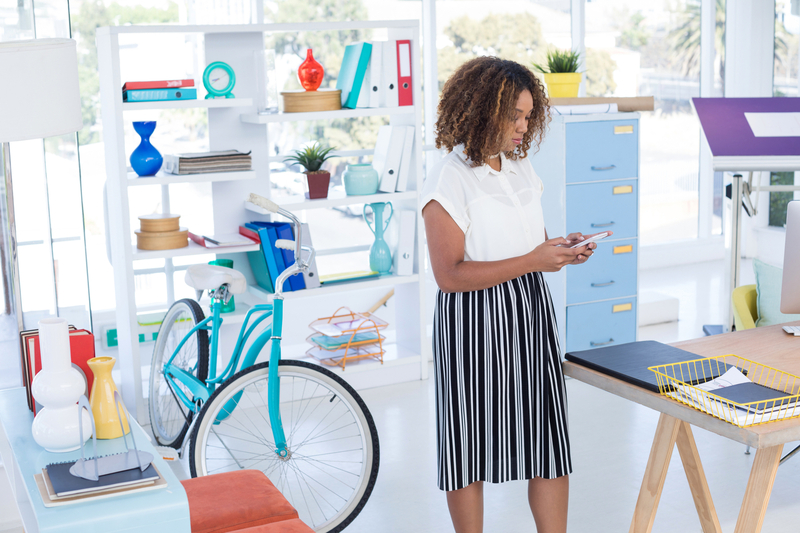 Heads up: Even though you can use your personal loan for business purposes, this loan blurs the line between your personal and business finances. For so many reasons, we recommend keeping your personal and business finances separate (not the least of which is avoiding a tax-season headache). But if a personal loan for business is your only option, you can take the loan and work on building business credit in the meantime. That way, you can position yourself for an even better business loan down the line. For entrepreneurs who have already been in business for a year and have established credit, there’s a wider variety of financing options. For instance, if this wedding venue is an expansion of an existing wedding business or service that generates revenue, you might be a good candidate for a short-term loan. Before deciding which financing option is best for you, find out more about business loan requirements, so you have an idea of the information you need to have ready before taking financial action. The time it takes to get your venue up and running is a big factor in choosing a loan. If you’re in a time crunch, a short-term loan provides the financing you need within a compatible timeline, since repayment terms generally range between 3 and 18 months. Short-term products are good options if you need a relatively small amount of funding—the average short-term loan amount is $20,000. So, if you own a venue with existing structures and plumbing, you might consider a short-term loan to cover your remaining, urgent expenses. Many wedding professionals move into event spaces as a natural complement to an existing catering, photography, or wedding-planning business. For business owners with demonstrable revenue and credit history, a business line of credit can give you access to the capital you need to run a wedding venue. Pull down on this revolving pool of resources whenever you want or need—say, for hiring employees, major equipment rentals, or installing a kitchen—and only pay for the funds you use. Paying for major renovations and labor will likely require a loan, but you can take care of most daily expenses with a business credit card. For new business owners looking to refurbish an existing building or space, a business credit card gives you spending flexibility and helps you build credit for your business. 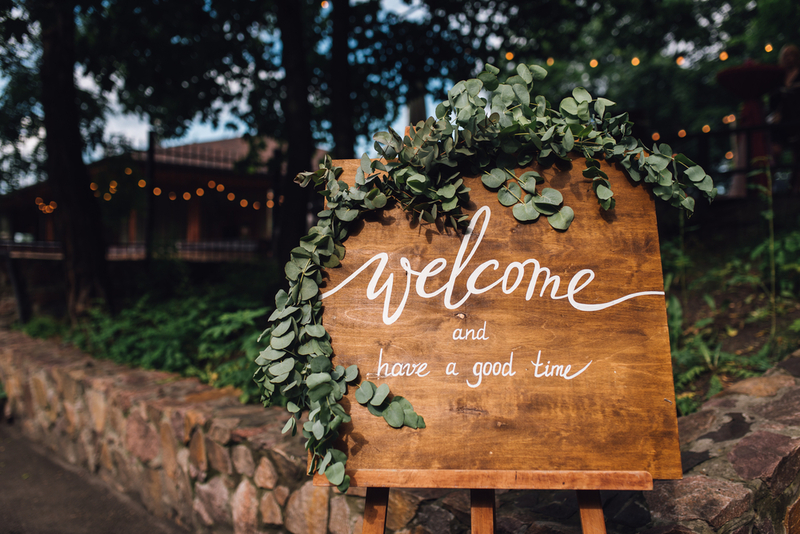 One great thing about a wedding venue is that you can continue to make improvements while you conduct business—as long as you take the right precautions to ensure renovations never interfere with events. Particularly for rural or outdoor spaces, you can start showing and renting the space as soon as you’ve finished foundational improvements and met code requirements, and continue to make incremental improvements as you begin to generate revenue. If you’re waiting on major structural renovations, but your bathrooms, parking, and utilities are squared away, consider renting or purchasing a large tent so you can rent your space ASAP. Indoor spaces are less amenable to opening with ongoing work, but that doesn’t mean you can’t make the most of your remodeling period. While you wait on renovations or inspections to be completed, use your time to expand your professional network and invite vendors and prospective clients to preview the space. An informal event or open house is an unparalleled opportunity to get industry and clientele feedback. In the wedding industry, the customer—namely, the couple-to-be—really is always right. Because the wedding planning process is so personal, keep your target audience in mind when scouting locations, choosing improvements to prioritize, marketing your event space, and planning what kind of amenities you’ll provide. Website: Consider your website an outpost for your wedding venue, where potential clients will visit before deciding to view your space in person. Focus on creating an attractive, easy-to-navigate user experience that reflects the positive experience your venue offers. Search: Make your business easy to find—think carefully about a searchable name—and then spread it as much as you can on your personal social media and within your existing business network. Do a Google search for wedding venues in your area, and notice how you can set your venue apart. Search for terms you would like to appear for (i.e. “Memphis outdoor wedding” or “converted barn venue”) and see what kind of businesses or websites appear. Later, this might be a strategy for identifying good terms for paid search on AdWords or with Facebook ads. Social: You’re working on opening a great venue—before opening your doors, get a head start on social media to gain exposure and engage with potential clients. Create Facebook and Instagram accounts for your venue. Even if you don’t plan on using social media, your business needs a location on Facebook in order to be tagged in future posts. Instagram or Facebook posts with your geo-tag is a great way for clients to find you. Start posting—now! Even before your venue is open for business, posting early and often will cultivate an audience and kickstart engagement with your business. Remember, too, that the wedding industry relies heavily on word-of-mouth recommendations, and a happy couple is your best marketing asset (followed by a network of reliable vendors). Ask happy customers to write positive reviews on WeddingWire, the Knot, or social media when you can. Starting a successful wedding venue is a complex process, but it doesn’t have to be frustrating. If you choose a property based on your experience and resources, and focus on preparing your venue to open, you can continue to make improvements while you bring in revenue. Because a venue space is adaptable by nature, you have more flexibility, which presents a great opportunity for investors ready to start a business. Throughout this process, one of the best ways to ensure that you keep expectations realistic is consulting other wedding professionals when possible. Assess your finances. Get a clear understanding of your credit, as well as the size of investment you are in a position to make. Find a location. If possible, tour local wedding venues, and try to identify an unsatisfied need. Visit different potential properties, and determine what kind of venue you want to open based on availability, price, and the degree of renovation you’re equipped to oversee. Identify improvements and estimate costs. With a firm grasp on your finances and the kind of wedding venue space you’re looking for, you’re ready to start looking for properties and sizing up necessary functional renovations and value-adding additions, like a bridal lounge or catering kitchen. Before you seek financing for your wedding venue, consult an expert—a general contractor, venue owner, or experienced property flipper—to assess any necessary repairs, and estimate the cost and time for renovations. Pick a financing plan. After getting remodeling estimates and determining how much financing your venue requires to get up and running, you’ll be able to choose the appropriate financial product and payment schedule. Adapt as you go. Once you start working on the venue, you can make a roadmap for further improvements, and adjust your business plan to reflect work schedules and inspection appointments. Continue to make improvements—and potentially seek further financing—after opening your wedding venue, incorporating feedback from clients into planning new additions. Focus on your clientele. When choosing between properties, renovations to prioritize, and venue decor, keep the couples in mind. Attend a wedding expo as a visitor, and talk to other visitors and vendors about what kind of wedding venue they are looking for. Now that you have a clear idea of how to open a wedding venue, it’s time to start researching and reaching out to relevant connections—recently married couples, wedding vendors, or event space owners. You can even get a head start on marketing as you move through the process of checking your finances, viewing properties, and applying for funding.